With the magnificent and poetic beauty, along with the interesting folk fairytales, Da Dung mountain touches the heart of many travelers. 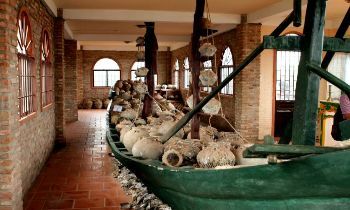 Many visitors choose to explore this during their trip to Ha Tien town while lots of tourists don’t hesitate to pay a visit to Da Dung on their way back to the mainland after finishing Phu Quoc island tours. No matter what, Da Dung mountain is widely regarded as one of the best natural tourist sites in Southern Vietnam, which you shouldn’t miss. Da Dung Mountain which is a scenic and historic sites were recognized as National Monument in 2007. Situated near the borderland between Vietnam and Cambodia, in My Duc commune, Ha Tien town, Da Dung Mountain is also known with the name of Chau Nham. 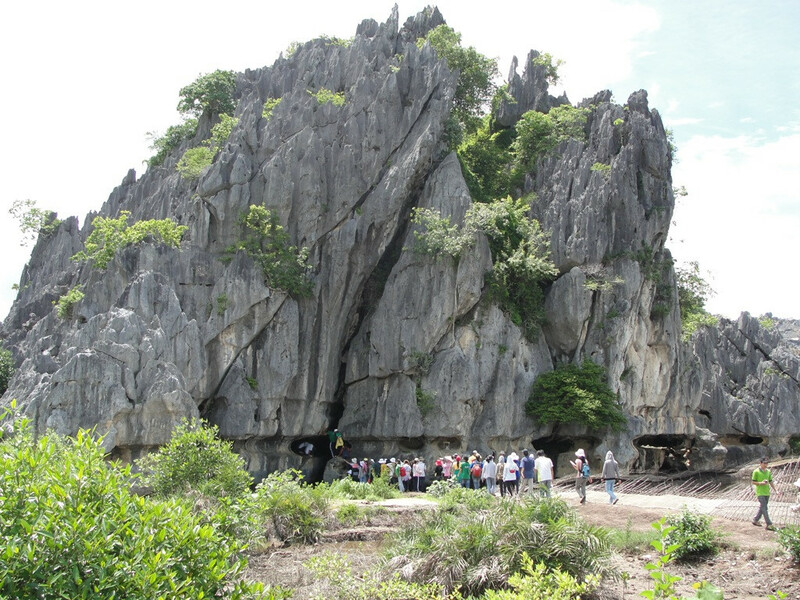 It is in the northwest Thach Dong mountain and is about 6 kilometers away from the center of Ha Tien town. Mac Thien Tu poet praised Ha Tien's spectacular landscapes in the poem “Chau Nham Lac Lo” belonging to the collection of poems “Ha Tien thap vinh”. Da Dung mountain owns various kind of stalactites that look glistening like jade. That's the reason why the mountain is called Chau Nham which means a mountain range of jade. According to books of “Nam Ky Dia Du Chi” and “Dai Nam Nhat Thong Chi”, when Mac Cuu came here to explore Da Dung mountain, he saw a precious big jewel that is 1 square meter in size so he named this mountain Chau Nham. When Mac Cuu visited this land in the first time, Da Dung Mountain still was near the seashore, framed by swamp and grass. This spot was the gathering place as well as the residence of birds, most of which were the white stork. Every afternoon, when standing to watch the peak of the mountain from distance, Mac Tu saw flocks of white storks landing to find a place for taking a rest. That beautiful scene was inspired to Mac Tu for writing the poem of “Chau Nham Lac Lo”, in which, “Lac” means fall, “Lo” means the white bird living in the zones of ponds and “Chau Nham Lac Lo” means the scenery of white birds flying back to the Mountain of Jade. What is special about Da Dung mountain? With trapezoidal shape, Da Dung Mountain is about 100 meters in height and includes 14 untouched caves. Each cave has its own particular shape, bearing a particular myth related to its present name. Kho Qua (bitter melon) Cave owns stalactites in shape of giant bitter melons and there is a monk who is lightly nodding his head respectfully towards Sam Hoi (penitence) Cave. Travelers will easily be overwhelmed by a chilly and stuffy feeling when heading to Cong Troi (Haven’s Gate) Cave, but as they approach the core area, they will be amazed at experiencing the fascinating sensations when seeing the shimmering cave’s gate. Some caves are connected together, creating a mysterious labyrinth with the beautiful stalactites in various shapes. In Trong Nguc (Chest Drum) cave, if visitors slap their chest, they will instantly hear the echoes from the rock walls as rhythms of drums. Or in Lau Chuong (Bell Tower) cave that houses many stalactites, when tapping them, you’ll hear the limpid melodies like a real bell. Than Kim Quy (Lord of Golden Turtle) Cave is a big rock in shape of a turtle while in Bong Lai (Elysium) Cave, visitors will feel like they are drifting in the high blue sky since this is filled with fresh air, with clouds hanging in mid-air, creating a fanciful scene. Xa Loc Ky cave links to the outside world by a very small path. This cave has skylights with the bristling green vines dropping that look like eyelashes according to human imagination. The eyelashes seem to express the sentiment of happiness when the sun rises up and show sadness when evening falls. While Xa Loc Ky cave makes visitors impressive by the unique natural beauty, Coi Hang Da cave is outstanding in a different style. 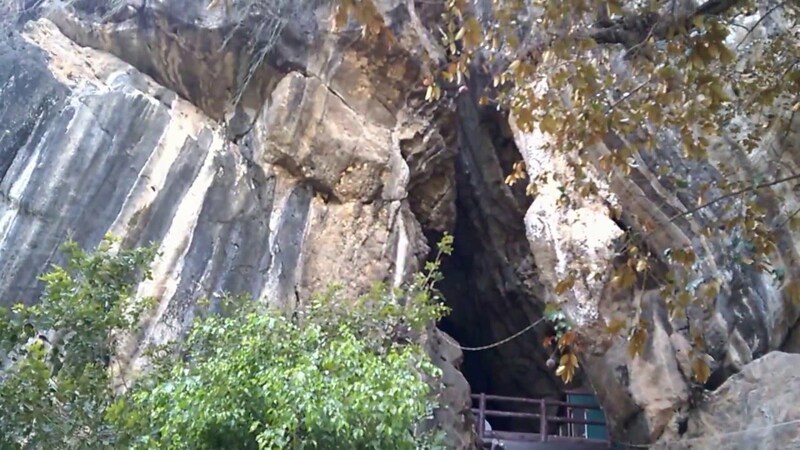 Coi Hang Da cave is associated with the legend of Thach Sanh – Ly Thong. According to this myth, one morning, from this position, Thach Sanh shot archery to the eagle which was taking the princesses who were flying over Da Dung Mountain. Later, Ly Thong locked Thach Sanh inside this cave and shut the mouth of the cave. There was no way to escape, Thach Sanh relaxed by tapping on the stalactites and it has emitted sounds. The wind carried these sounds to the palace of the emperor. Princess Quynh Nga realized and asked his father to appoint soldiers for rescuing Thach Sanh. With the unique geological structures, Da Dung mountain is truly a natural masterpiece. Over time, the original value of Da Dung mountain still remains intact. Once you visit Da Dung mountain, it will surely leave a strong impression on you. Let’s exploring mysterious caves in Da Dung Mountain and get the marvelous moments. 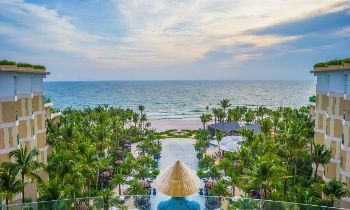 Do not forget to take Phu Quoc tours to get more information about how to get to Phu Quoc.